Well, it has simply been too rainy to burn anything, pit or not! Still, what kind of girl would I be if I let a little thing like dampness prevent cocktails! 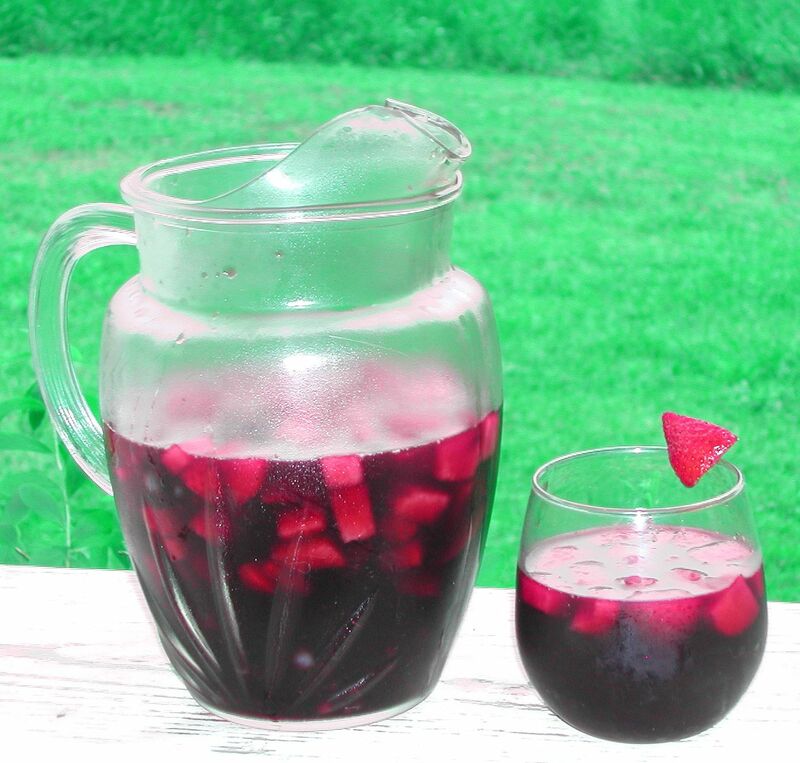 Pour the wine, Pom and Pama into a large pitcher and stir. Add the fruit, gently. Allow the mixture to sit for an hour or two.